Worship at Forest Hills is a unique blend of a variety of sounds. 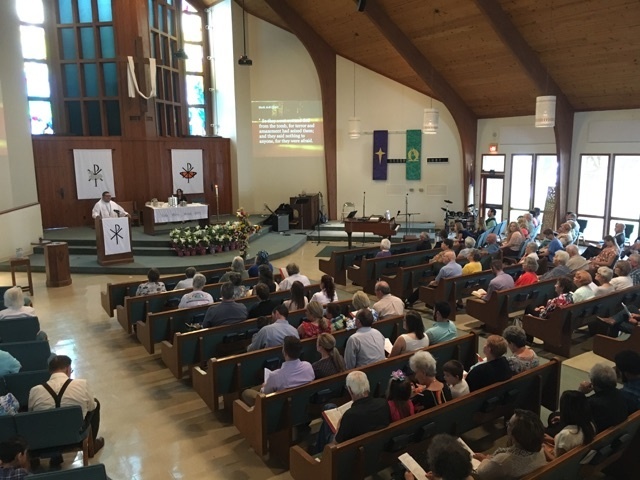 On any particular Sunday you will hear creeds from the Book of Confessions written at the dawn of the church, sing hymns written during the reformation, listen to creatively arranged contemporary praise songs, and hear interpretation of the scripture in conversational sermons from our pastor. In our service we aim to give witness to the voice of God declared throughout generations. If you are interested in helping us lead worship, please join us for our weekly Music Team rehearsals on Wednesdays at 6:00 pm in the choir room.